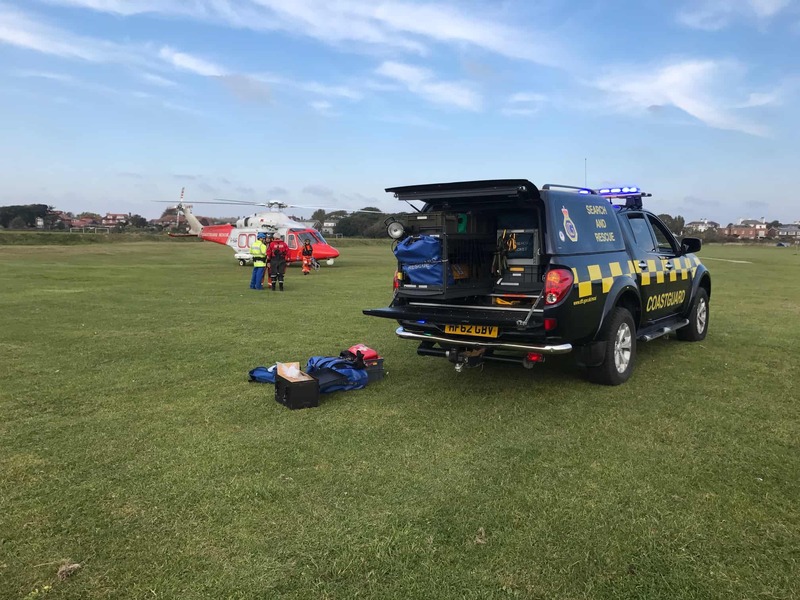 A woman with a head injury was airlifted from Stokes Bay on Sunday after she was evacuated from a sailing vessel by Gosport & Fareham Inshore Rescue Service (GAFIRS). The 24-year-old was sailing on board a 40ft vessel in the mid-Solent when she slipped down into a hatchway hitting her head in the process. Gosport Independent Lifeboat was launched at 1.13pm and the yacht was quickly located near Ryde Middle. Cowes RNLI Lifeboat was also tasked but stood down when GAFIRS arrived on-scene. GAFIRS coxswain Peter Brown said: “When we arrived we placed a lifeboat crewman on board the vessel and the casualty was assessed. She was conscious but had taken a nasty hit to her head. 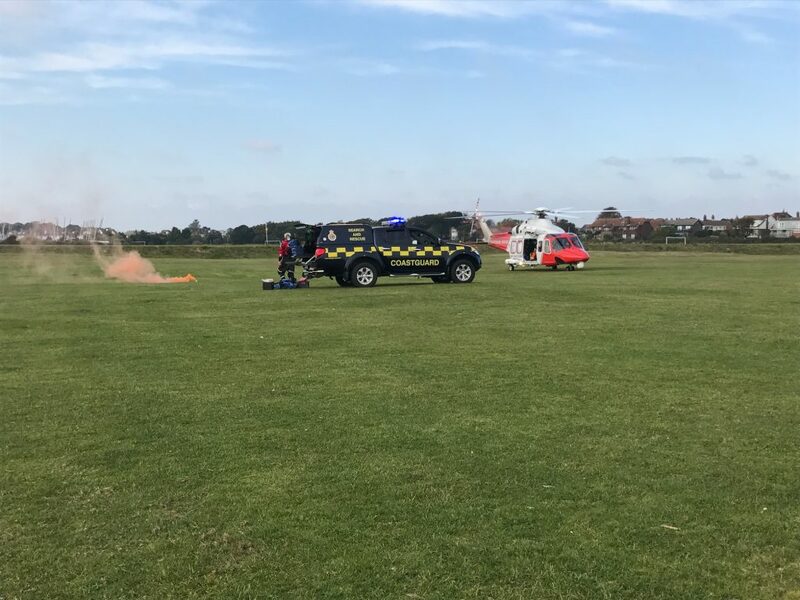 Due to concerns over the casualty’s injuries and deteriorating condition, UK Coastguard tasked the rescue helicopter, Coastguard 104, from its base at Lee-on-the-Solent to assist with evacuation to hospital. 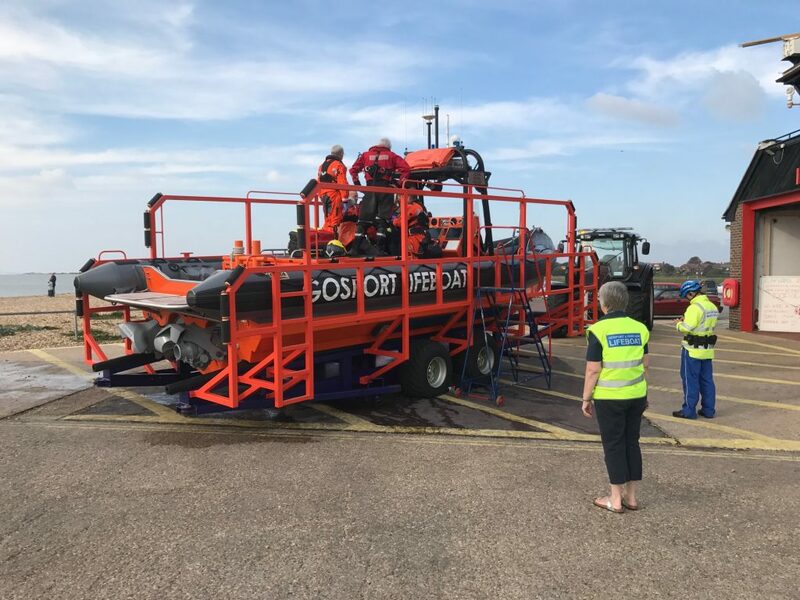 GAFIRS worked with the Coastguard Hill Head Mobile Rescue unit and Hampshire police to clear a helicopter landing site on the fields next to Gosport Lifeboat Station. The helicopter’s paramedic team assessed the casualty and subsequently evacuated her to Southampton General Hospital for further medical treatment. In total the operation lasted two hours and was GAFIRS’ 103rd incident of 2016. GAFIRS is an independent lifeboat station manned entirely by volunteers who are on call 24 hours a day, 365 days a year.